Take two Cousins from Faction Paradox. Give them a world – the Earth, for example – and give them the power to change that world’s history as they see fit. Then stand back and watch what happens… Just what would happen if a couple of Cousins used our planet as their personal game board? As they create one alternative reality after another, twisting history and reality into knots, only one outcome is sure: whoever wins, the human race loses. 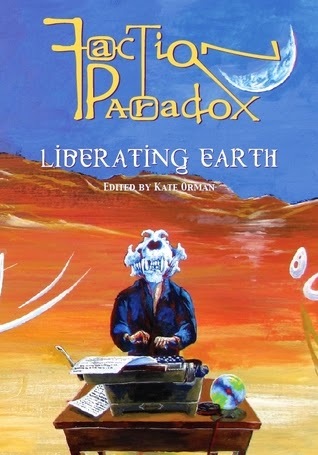 For those who have not heard of it Faction Paradox started life as a spin-off of the BBCs popular science fiction show Doctor Who. Originally conceived prior to the new series returning to our screens, Faction Paradox has now distanced itself from its origins and continues to be a franchise is its own right. The premise of the series is that a vast war rages through time and space between two matched powers – The Great Houses (aka Time Lords) and an undefined Enemy. The Faction Paradox are a third group who then use this conflict as an opportunity to promote their own interests. Red Rover Red Rover - "Q"
The stories vary in style and tone, since each is set on a completely different earth to our own. Individual stories are set in the past, present and future – and range between romance, comedy, horror and obviously science fiction. Overall the quality of the individual stories is very high. My personal favourite being “Dreamer in the Dark” depicting a world populated by medusa-like aliens where the human race are forced to be blindfolded at all times and are therefore reduced to a slave race. “The Mountains are Higher at Home” is also a very strong story, an emotional tale of a warden species come to Earth to protect humanity from its own environmental devastation. If I had any criticism of the collection I’d say that although the stories are themselves excellent, the linking narrative while well-written does not really hold them together. Overall though a brilliant short-story collection. If a printed copy of this title is purchased direct from the publisher Obverse Books http://obversebooks.co.uk/ then a free download of the electronic version of the book is also provided.